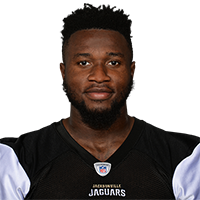 Analysis: Ngakoue racked up 28 tackles (25 solo) and nine sacks last season, pushing him to third in Jaguars history with 29.5 sacks. He's entering the final year of his rookie contract, so the fact he attended the team's first offseason workout indicates he'll let his play do the talking and allow the pieces to fall as they may next year. 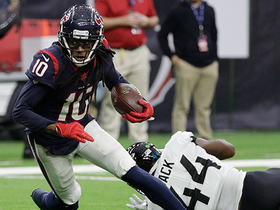 Ngakoue had five tackles (three solo) and 1.5 sacks in Sunday's 20-3 loss to the Texans. Ngakoue had two solo tackles and a sack in Sunday's 17-7 win over the Dolphins. Analysis: Ngakoue's eighth foray into the sack column set the Dolphins behind the sticks in the third quarter, helping lead to a punt. The 23-year-old's continued low-tackle production -- he has more than two tackles in only two games this season -- made him a generally unappealing IDP option again this season, despite his ability to rush the passer. Ngakoue had four tackles and a sack in Sunday's 6-0 win over the Colts. 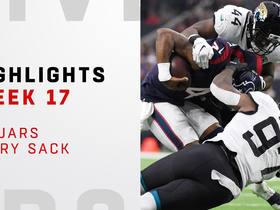 Analysis: Sunday's outing was only the second time this season Ngakoue has totaled more than two tackles in a game. The 23-year-old continues to be a sack-or-bust IDP option heading into Thursday's game against the Titans, with 19 total tackles and seven sacks in 12 games. Ngakoue recorded his sixth sack of the season in Sunday's 20-16 loss to the Steelers. 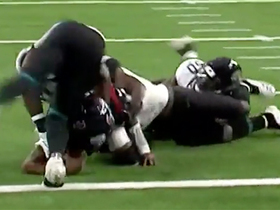 Analysis: Ngakoue's fourth-quarter sack was his only tackle of the game, although he did total three hits on quarterback Ben Roethlisberger, one of which helped lead to an interception. The 23-year-old has only 14 total tackles through 10 games, and his all-or-nothing production makes him a dangerous proposition as an IDP option. Ngakoue had two solo tackles and a sack in Sunday's loss to the Eagles in London. 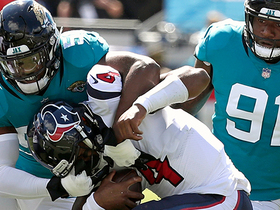 Analysis: Ngakoue didn't record a tackle last week against the Texans and now has 11 tackles and five sacks at the halfway point of the season, with a bye week up next. The 23-year-old has recorded more than two tackles only once this season and is difficult to trust for IDP-purposes despite his pass-rushing talent. 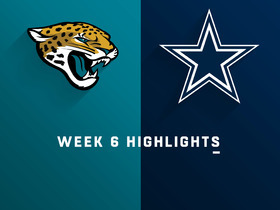 Ngakoue recorded four tackles and two sacks in Sunday's 40-7 loss to the Cowboys. 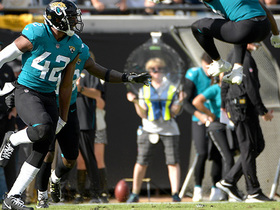 Analysis: Ngakoue was a bright spot in what otherwise was a miserable performance from the Jaguars' usually-dominant defense Sunday. The 23-year-old defensive end now has at least one sack in three straight games after going without one for the first three contests of the season. 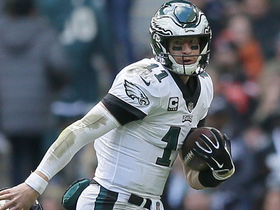 He will look to continue his hot streak against the Texans' sieve-like offensive line in Week 7. Ngakoue recorded one sack across 46 defensive snaps in Sunday's win over the Jets. Analysis: Ngakoue finally secured his first sack of the season, as the defensive end is receiving much more attention from opposing offenses after a 12-sack campaign in 2017. He'll now switch his focus to containing Patrick Mahomes as the Jaguars head to Kansas City this Sunday. Ngakoue is without a sack through the first three games of the season, John Reid of The Florida Times-Union reports. Ngakoue is participating in training camp Wednesday, John Reid of the Florida Times-Union reports. Analysis: Ngakoue was held out of Tuesday's practice with an eye injury but appears to have recovered without issue. 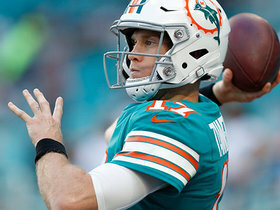 The 23-year-old has yet to miss a game entering his third season in the league and remains an unquestioned starter in Jacksonville. Ngakoue was held out of Tuesday's practice due to an eye injury, Mike Kaye of First Coast News reports. Analysis: Ngakoue's eye issue doesn't appear to be anything serious, so he was held out of Tuesday's practice likely as a precaution. The starting defensive end has not missed a single game throughout his first two seasons in the league, and he racked up 12 sacks during his 2017 campaign. Ngakoue had two solo tackles and one sack Sunday against the 49ers on Sunday. Analysis: Ngakoue has only logged more than three tackles in a game twice this season, but his monstrous 12 sacks this season boosts his fantasy ratings. Week 17 won't be an easy matchup either, as Titans QB Marcus Mariota has been sacked on just 5.3 percent of his dropbacks, ranking 12th in the league. Ngakoue had two solo tackles, one sack and one forced fumble against the Cardinals on Sunday. Analysis: Ngakoue now has 3.5 sacks and three forced fumbles in his last two games, totaling 10 sacks and six forced fumbles on the season. Through 11 games, the second-year pro still has posted six games with zero sacks, which makes him most useful against weak offensive fronts. 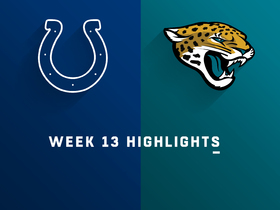 Indy comes to town in Week 13, and Ngakoue recorded 2.5 sacks against the Colts in their first matchup this season. Ngakoue registered 2.5 sacks and two forced fumbles in Sunday's win over the Browns. Analysis: Ngakoue has nine sacks and five forced fumbles on the season, which have come over the course of four games. The 22-year-old remains tough to trust as an IDP option due to his inconsistency, but can still be an intriguing option when seeing the right matchup. 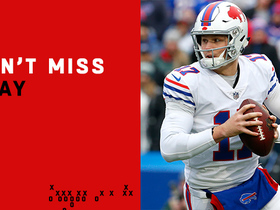 Buffalo Bills quarterback Josh Allen makes a deep 75-yard touchdown pass to wide receiver Robert Foster.